Ralph Waldo Emerson once said 'the earth laughs in flowers'. Geraniums are one of those flower species that add quite a bit of cheer to the world with their multiple offerings of beautiful colours. But they do a little more than simply look pretty. They also contain a number of healing properties including antiseptic, diuretic, antispasmodic and antifungal therapeutic properties. When diluted with water and applied to the face the Geranium acts as a natural cleanser. Infused with oil and added to a warm bath it can also be very soothing; relieving anxieties, insomnia and PMS. It has also been known to improve circulation and aid in the healing of nail fungus, eczema and hemorrhoids. It is for these benefits and their earthy/floral/minty aroma that Geraniums are often added to health and beauty products like bath oils, moisturisers, soaps and hair care products. 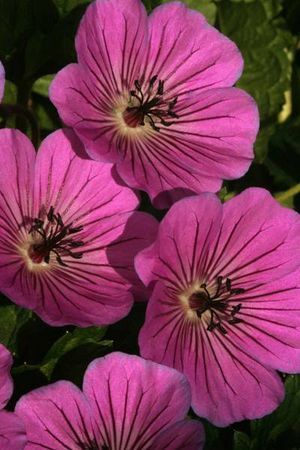 Geraniums are also a great flower for the kids to plant this school holidays either in the garden or as an indoor pot plant. Though native to South Africa they grow in virtually any soil so long as it's not waterlogged. To feel the healing effects of Geranium try making fresh tea using the leaves and petals of the plant. Pour boiling water over a quarter of a cup of leaves. Allow to sit for five minutes before straining. And there, you have your very own fresh tea of earth laughs.